Beware Pammi Aunty, here comes Shanti Shole! The series has Ssumier Pasricha playing four characters —Pammi Aunty, her America-returned son Timmi, a 75-year-old man Kishori Lal and the fireball maid Shanti. A Maharashtrian bai Shanti Shole is set to take on Punjabi Pammi Aunty in an upcoming web series Mumbai Da Siyappa. 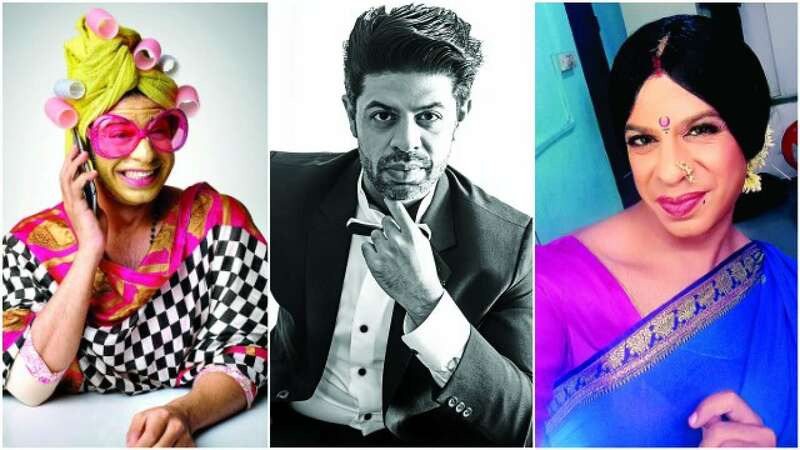 The series has Ssumier Pasricha playing four characters —Pammi Aunty, her America-returned son Timmi, a 75-year-old man Kishori Lal and the fireball maid Shanti. “It’s about Pammi coming to Mumbai where she has got this bai Shanti. She is annoyed with her because she always puts kadi patta in every dish, which she doesn’t like. I experienced this initially when I came to Mumbai and I have tried to take those experiences and bring together the Punjabi and Marathi culture in different ways. Also, like Pammi, Shanti is a powerful personality and the two often war over little things,” says Ssumier, who learnt a good deal of Marathi to essay the character. “The serial is in Hindi, but Shanti’s character also speaks Marathi,” explains the actor. It’s also the first time that Ssumier will be essaying four characters in the same series and he feels it’s the opportunity of a lifetime, “The series is only about four characters and at a time, there are at least three in one frame. I had to give the same shot playing different characters, change the make-up and the body language. That’s an experience in itself,” says the actor, who became popular as Pammi Aunty. In the initial few episodes he found it difficult to get into the groove of Shanti Shole. “The director would tell me, ‘Ssumier tu Pammi zone mein ja raha hai’. So, I became conscious about creating a different persona, her haav bhaav etc. At the end of it, my producer Ekta (Kapoor) said she likes Shanti more than Pammi! Even my mother who saw the rough cut felt the same,” smiles Ssumier, who will shoot for the promo sometime this week.